Golden retrievers undergo Muscle Dystrophy lab experiments. For more than 35 years, Texas A&M has been performing muscle dystrophy experiments on dogs in hope of finding a cure. Joe Kornegay has been the lead experimenter and has not found any treatment or cure for this chronic illness. People for the Ethical Treatment of Animals or PETA, an animal rights activist group, are against this and do not support the experiments at the dog laboratory. 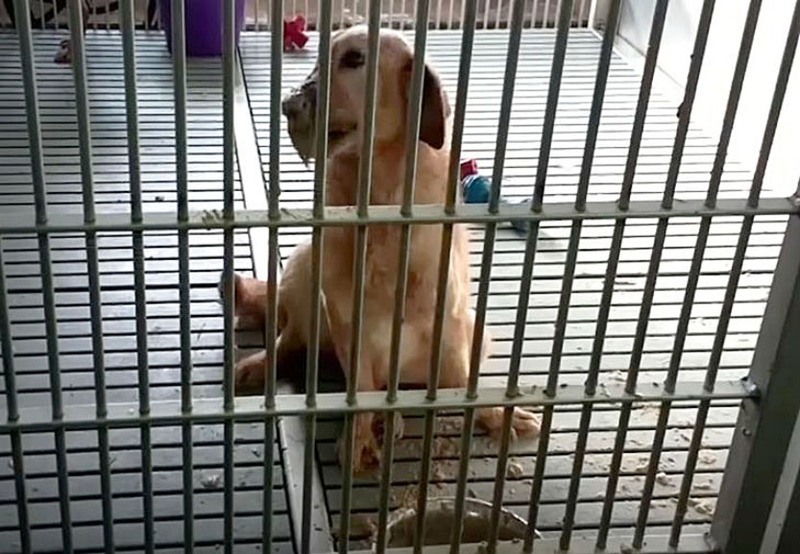 PETA describes the Muscle Dystrophy dog lab as “medieval torture” and “cruel”. In a statement, Texas A&M said, “The dogs – who are already affected by this disease – are treated with the utmost respect and exceptional care on site by board-certified veterinarians and highly trained staff. The care team is further subject to scientific oversight by agencies such as the National Institutes of Health and the Muscular Dystrophy Association, among other regulatory bodies.” Texas A&M continued to state that their research on muscle dystrophy is shared globally and they are trying their best to find a cure for muscle dystrophy. PETA stated that, “Their tongues often become so swollen that they can only eat a thin gruel,” when referring to the lab dogs on one of their video posts on Twitter. The video showed the gruel, confirming their statement. There was also a lack of blankets for the dogs, as well as dog feces scattered across the floor in many cages. “I carry muscular dystrophy and I know how devastating the disease is. I want a cure as much as anyone, possibly more. This is unethical, though. This is not the way to look for a cure. It isn’t going to work. People are already alive with the disease and they are willingly signing up for research studies every day in many countries. … We don’t need to deliberately cause pain. It’s unethical,” said Chryss Parks, a person with muscle dystrophy. This may affect student choices when picking a college since Texas A&M is a very well-known university and this controversial topic may hurt its reputation.